Is your post-recession marketing ready to ramp up? 1. Reevaluate and reinvigorate your mission and vision. As you come out of a downturn, be sure that your mission and vision still apply to your business. During the recession, there have likely been lots of distractions, stress, and gossip as layoffs have been made and people have been forced to do more with less. This is a golden opportunity to re-enroll and reenergize. 2. Reassess your marketing promise. Are you still fulfilling on the promise of your brand(s) and the promise to your customers? What needs a tune-up? Examine key processes. Take a hard look at your products and services. Companies who are promising one thing and delivering another quickly lose integrity with customers during a time they need it the most. 3. Re-hire for success. Now’s the time to be poised to hire the best people to support your mission and vision and bring them on-board in a way that empowers them for success. As you begin to add back to your team, make sure you have hiring, on-boarding, and training programs that support your brand and marketing promise. 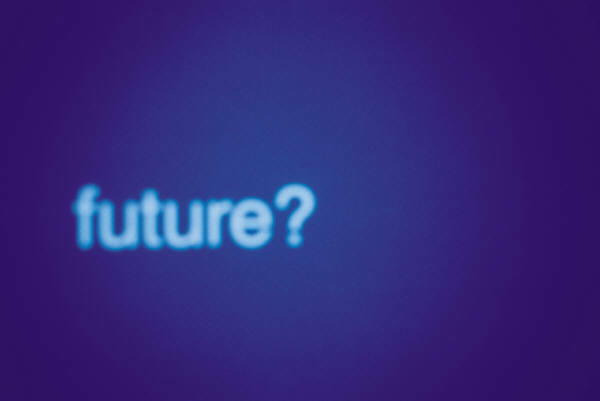 How has your business … and marketing … been affected by the slow economy? Take a moment to step back and review what impact the recession has had on your business … and your marketing strategy. It’s likely you’ve shifted how you do business–streamlined, cut back on staff, chosen new technology to be more effective. In your marketing, you may have cut back support staff and added marketing administration to someone else’s job description. After all, your whole staff is wearing many hats, aren’t they? Yet when business ramps up and there are more demands on everyone’s time, what suffers? Usually marketing takes a back seat. After all, if you’re doing well, why market more? You might get too busy! We have a better suggestion … a way to build your brand and organization while people are paying attention. 2. There are more people looking for what you offer. That means more opportunity to grow your organization, more audiences to inform, and new technology to reach them at a lower cost. Post-recession marketing means change. Yup. Change in attitude, perspective and methodologies. You won’t make any impact or be able to use the economic momentum unless you’re willing to shift your marketing focus and tactics. What used to work won’t work. You will slide into entropy instead of moving forward and ramping up to new success. For a small to medium-sized business, particularly in traditional industries such as manufacturing, or food products or financial, this can be tough. It requires leadership, commitment and drive from the top, and a trained and motivated team to design and implement new strategies. Marketing and branding insights from an experienced marketer can help, too! When people are looking for what you offer, they begin their search online. And they’re using more information sources than ever before. Does your website measure up? Inbound marketing is the new online brand strategy to reach the right audiences when they’re searching. Do the right audiences understand what you offer and why they should choose your organization? As noted above, reassess your marketing promise and your messages, do they still resonate? Consider developing a messaging hierarchy to articulate why audiences should choose you. How you position your organization in the new economy will drive marketing response. 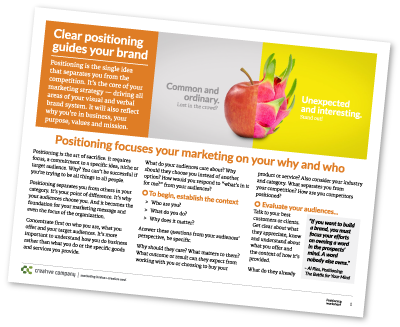 Positioning requires focus on your audiences to communicate the value you provide, not just describe the products and services you are selling. And it is driven by a strong visual system that lifts you above the chaos and clutter. Aligning your online brand with your offline communications is essential for success. Audiences expect a seamless flow from an ad, mailer or email to what they find on your website. Are you giving them that consistency and confidence? Let us know if you would like to talk further. Tap my 30+ years of marketing and branding insights … I can offer a brand audit to guide your new direction, or marketing mentoring to train your team and give them a fresh perspective. Drop me an email if you would like to talk further.